"Thou shalt not recoil before thine enemy." Chivalry was a term that came to represent a variety of different aspects of the Medieval world. During the early Medieval Ages Chivalry could refer to a company of knights, a land deed, or valor on the battle field. However, as the Medieval Ages progressed the term referred more and more to a code among the class of Knights. Chivalry became the ideals of all righteous knights. Ideas such as protecting the weak, and never abandoning a noble cause became the staple of Knighthood. 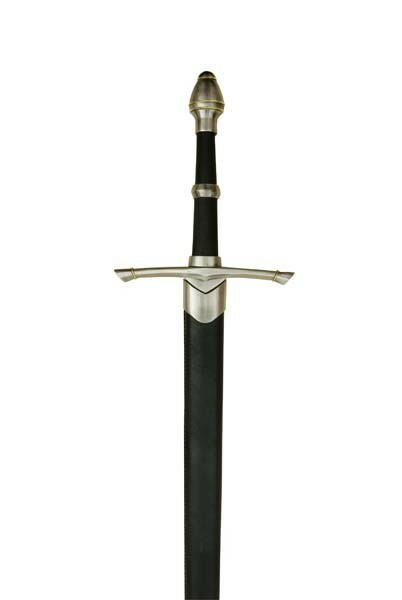 This is the Long Sword of our Knight's Chivalry Medieval Collection. Overall Length: 101 cm, 36 "
Blade Length: 66,5 cm, 26.5 "
Handle Length: 23,5 cm, 8.5 "